Hello 2012! Starting off the new year right with a new art lesson. 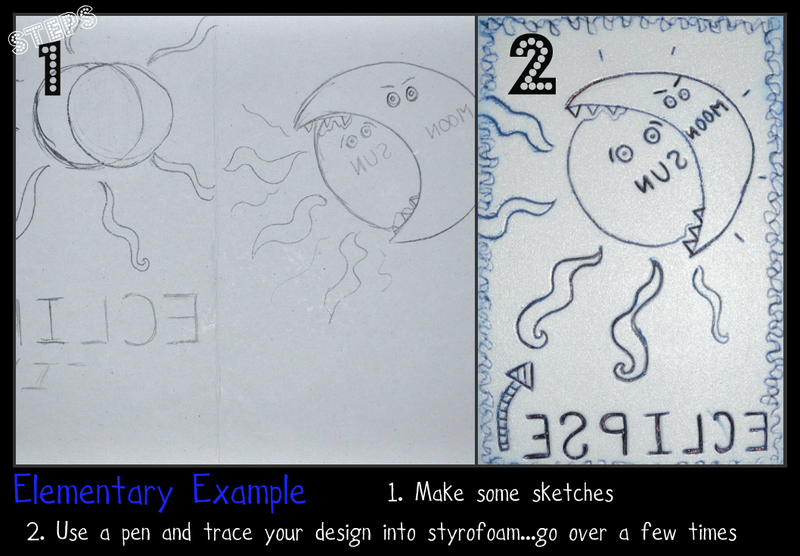 So I got this lesson when I was just a mere college student taking one of my Visual Art Ed classes. However, I still love it! It is great for upper elementary and middle school art students with just a little change of materials. The basic premise is discussing greeting cards. Where they came from, how they got started, why they might be considered art. Plus, I talk with my students about Hallmark. Gather a bunch of "odd" holidays that happen throughout the year. Check out this website to get started. Print off the ones you like and cut them up into individual pieces of paper. I mix them up in a bowl and let the students come up to select one. They LOVE doing that. Plus I LOVE that each kid gets a different holiday. Start the printmaking process. If you work with middle school students the materials they use are more advanced, but it can easily be done with fourth or fifth graders using Styrofoam. 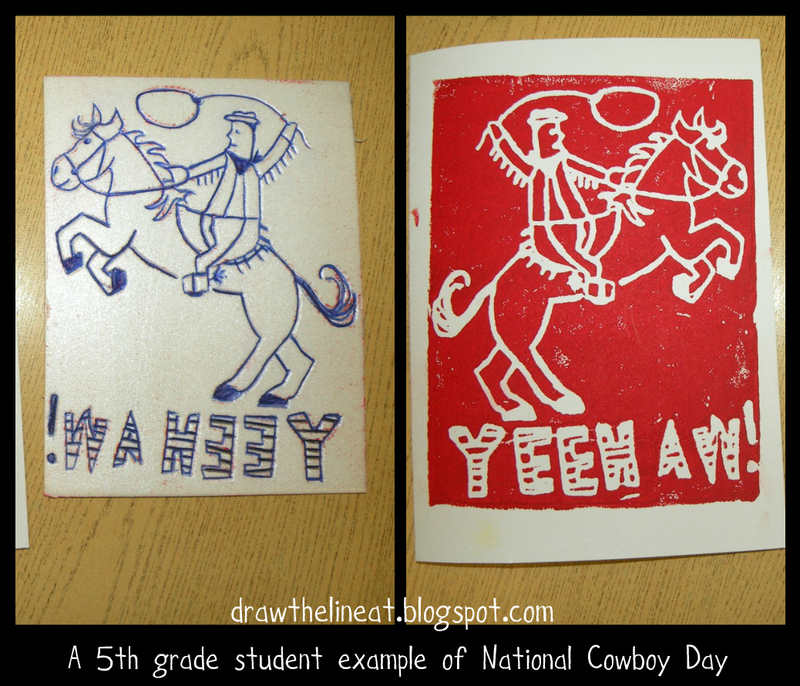 My middle school students printed two colors using carving tools and E-Z printing blocks. So their artwork was slightly more challenging than elementary. 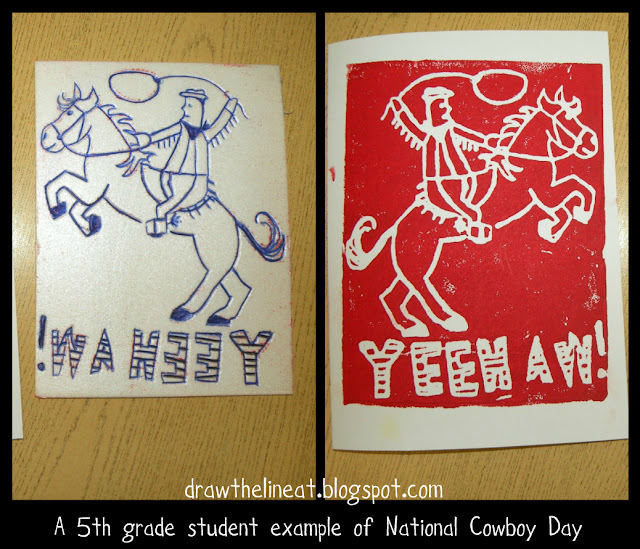 In elementary the students get their holiday and make a few sketches. Since they only print with one color everything will get pressed into their styrofoam with a ball-point pen on the first go around. Also you have to stress why letters and words must go on backwards. I put the following posters up on my board during this process because some kids are visual learners. 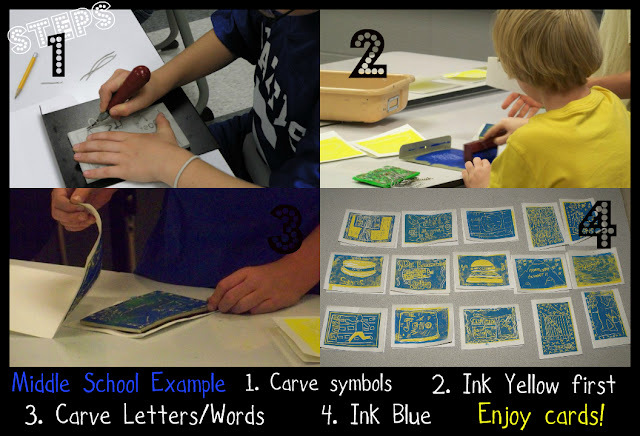 When the printing starts give the students a template like the one seen below. This helps the kids print their image on the card so the it actually appears right side up and on the front of the card. 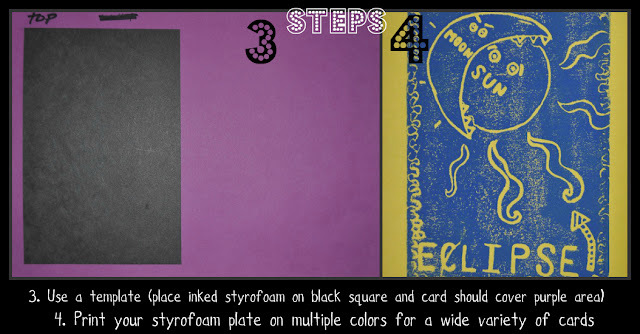 Kids can print in more than one color if you choose or have a few different card color choices. TIP: have the students make a few and give you one of them or have them do a card exchange. So fun! Copyright Draw The Line At 2010-2012. Awesome Inc. theme. Powered by Blogger.